I’ve been a huge fan of The Children’s Place for a long time now. The boys have worn clothes from there since they were babies, and I’ve even done a couple of reviews with them in the past. Of course, I’ve always looked at the boys’ side of the store, so now it’s pretty fun going in and getting to look at both sides! 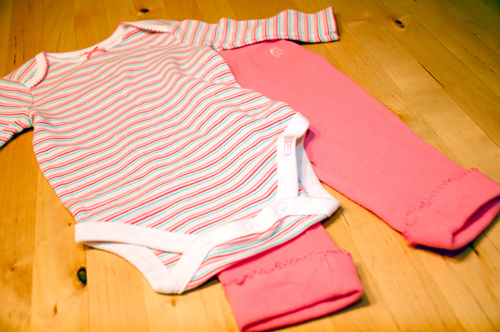 On my last trip to the store I went in with a mission: newborn clothing. 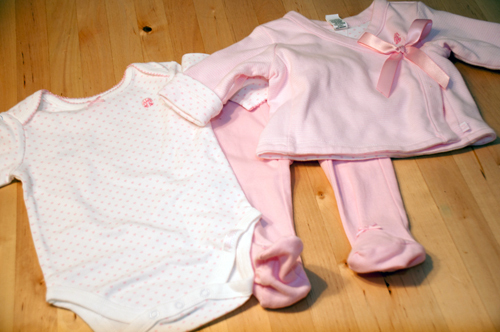 I found several items in the layette area that were just too sweet to resist (including one non-clothing item that I think you’ll love). Love the pastel pink, the footies on the pants, and the little jacket with contrasting cuffs! This will be perfect for cooler days and I especially love the option of being able to layer. I love stripes, and the cuffs on these pants with a slight ruffle are a great detail. I was glad to be able to find some long-sleeved onesies even now during the summer – this will be perfect for the fall and winter. How anyone could pass this sweet face up is beyond me. 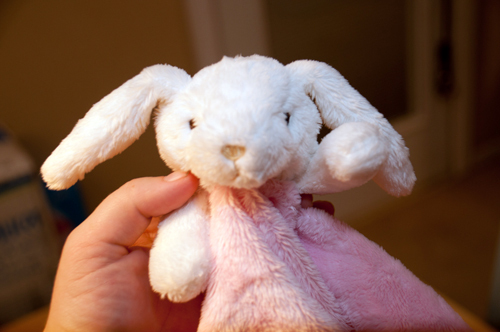 It’s super soft, too, and will be a perfect first lovie. I picked out three sleepers. 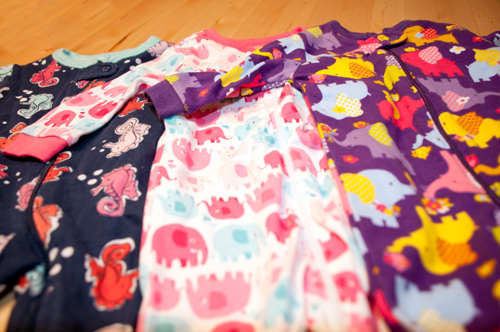 Those of you who know me will definitely know that the elephant prints were perfect for us, and I really liked the reds and pinks popping out against the navy of the seahorse sleeper. I got this color blocked dress in a larger size to save for next spring. 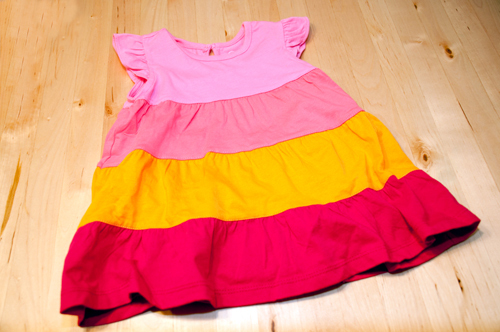 I love that it’s t-shirt material and is lightweight, and I think it’ll be a fun, casual dress for the baby to wear. Ahhhhh! 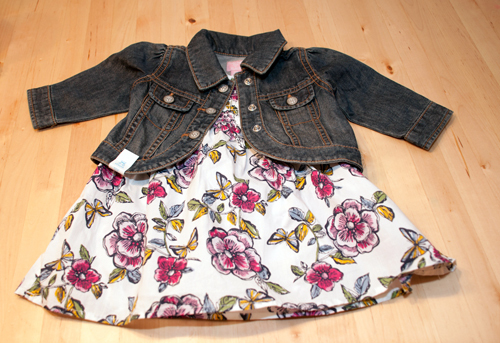 Tiny denim jacket! Do you love it as much as I do? The boys had one, and I had to get one this time around too. 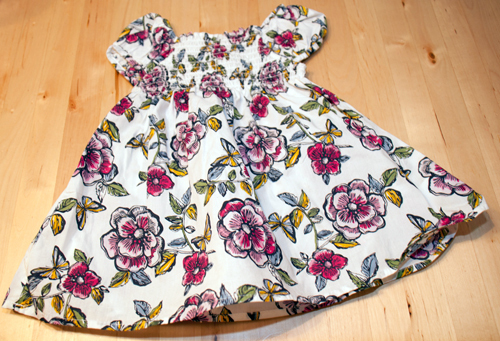 I think it’s absolutely adorable, and I love it paired with this dress. You know why else The Children’s Place is great? They agreed to let me have a giveaway! And not just one, but TWO (check back later this month for the second one)! One lucky reader will win a $25 gift card to The Children’s Place! This contest is open to all U.S. residents aged 18+. Entries will be accepted until the end of the day (midnight Central) Friday, July 6. By entering this giveaway you agree to the Official Rules. Note: I received a gift card to facilitate my review, and the gift card for the prize is also being provided by The Children’s Place. All opinions are honest and are my own. Pregnancy & Baby Extravaganza Starts June 1!! Oh I love the tee him up outfit for boys! So cute!